Last travelogue of mine was about the longest trip of mine in which I referred about the first hill drive of mine which was Dehradun-Mussorie from Faridabad, I guess I should detail that trip as well for Readers. 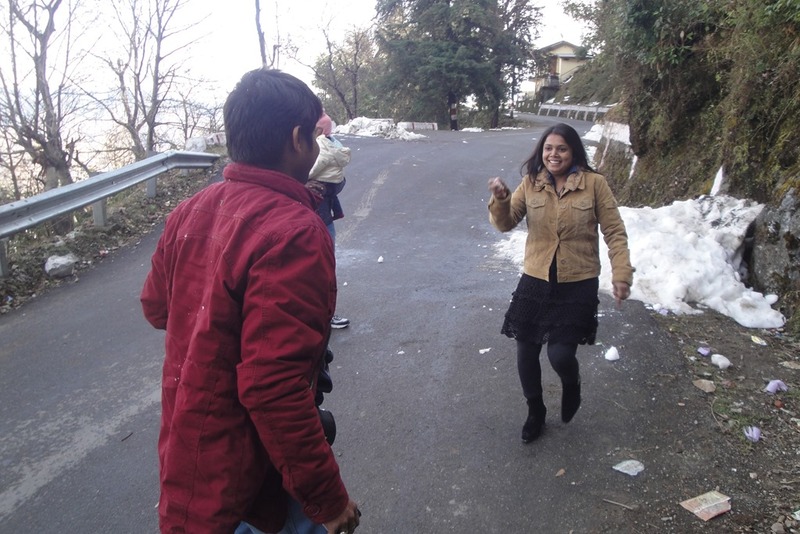 Till that time, I haven’t had any experience of hill driving even when I wanted to, having my first long car journey memories from Nainital 2011 with sister-in-law family. I had to choose that which place would be safer to drive on hills and would be within roughly 300 km radius from Delhi/ NCR. 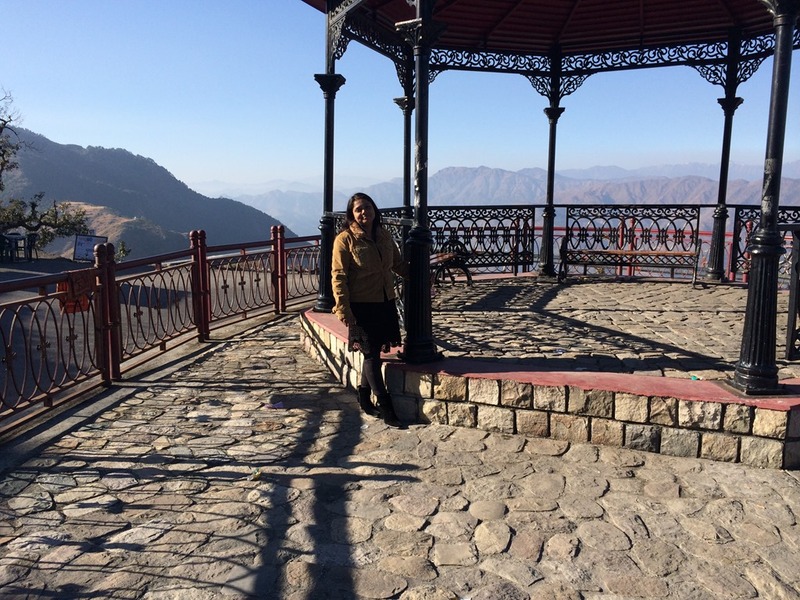 I zeroed in for Dehradun – Mussorie, not because of any blogs or recommendations but only because of the fact that I had an office branch in Dehradun. The initial plan was to drive up to Dehradun, till where it was supposed to be driving in plains and then to decide from there for Mussorie, if was doable. But all of that was a plan, what if I face any trouble en-route? I got that covered with two of the friends who got along with me (though none of them knew how to drive but even then its better to have helping hands in case you need one). The date chosen was around our wedding anniversary which was January 26 and the period when we travelled was January 25-27, 2014. When you make a plan for any trip, especially when its first of its kind then its hard to wait for the moment and same was for me. After counting of days, finally the day had come and learned from earlier mistakes, this time, I took a fine sleep before rising up early. 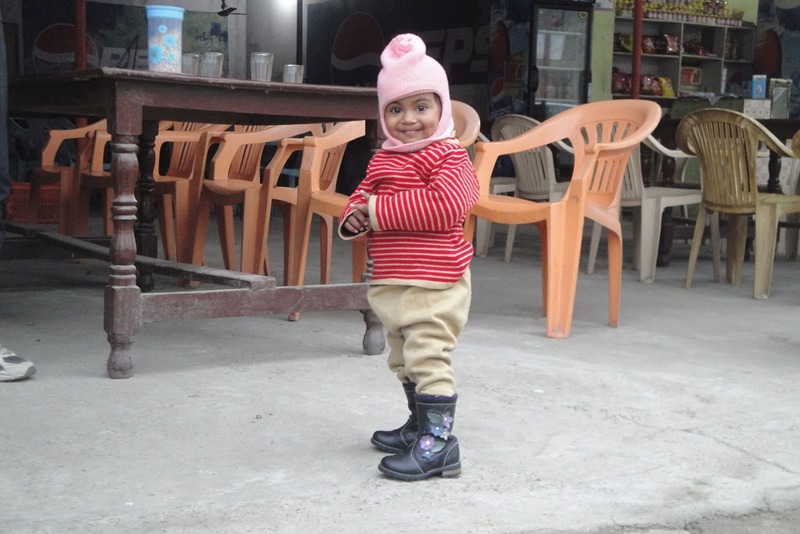 I along with wife and kiddo, who was just one and half years old left the house in Faridabad by 0430 hrs though waiting for other two participants made us a little back on the schedule but I guess we were ready to move out of Delhi by some 0530 hrs or so. Early morning helps you to cut through from the city traffic but looks like it wasn’t enough with that particular route with so many trucks in the way, but still we managed to reach till Muffarnagar by 0745 hrs and first stop was Vaishali Vaishno Punjabi Dhaba. That would be a distance of some 130 kms in roughly 2 hrs & 15 mins, which must be called an achievement considering the kind of foggy weather, I was to face in the way. We must have spent roughly 15-20 mins there for tea etc and then drove ahead. 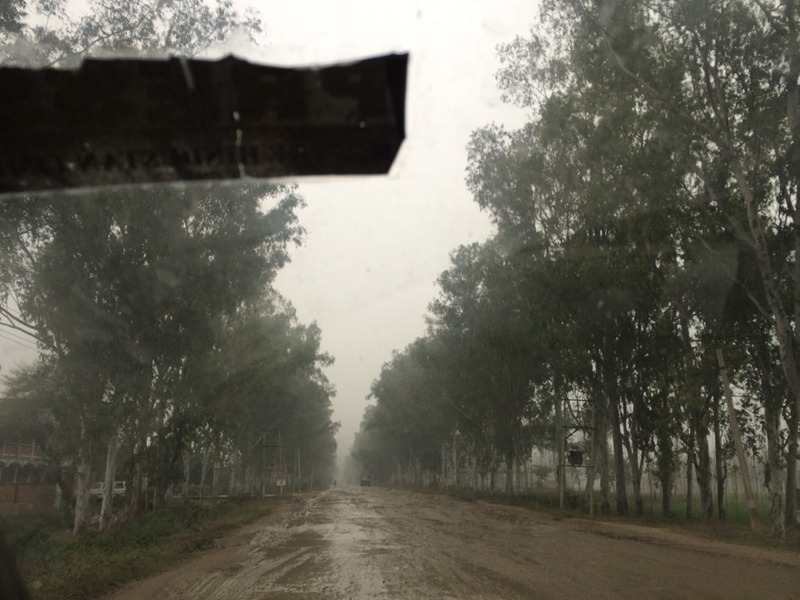 While planning for the route, we had no idea about the Saharanpur road conditions and more worse was leaving the highway for a while, anyway, next 40 kms or so were on kind of worse unending roads. You can imagine the roads with the fact that I was not driving straight literally even for a second and there was no road at all but just potholes filled with mud and water. We all were literally praying that when this road would come to an end cursing the local SP MLA. The ordeal finally ended by some 0945 hrs or so and then it was a better route to drive on. Little jam before Dehradun at tunnel and then we reached to our destination by some 1230 hrs. It was sure hell of late than I would have imagined. I also happened to see some of the hilly roads in between though not much. 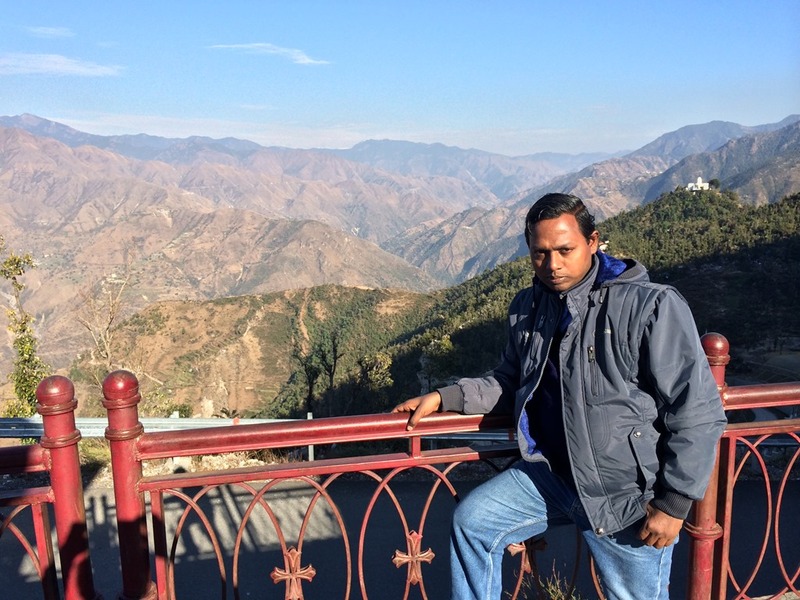 I called my local office guy over phone and he arranged a BSNL guest house for me to stay in Dehradun though he kept on insisting us to go up to Mussorie and take up an already booked NTPC guest house there as that would have been best option. Scared of driving on hills in one go, I refused that option then (always regretted that later on). A little settling in the guest house, taking food etc and then we were on to driving yet again. 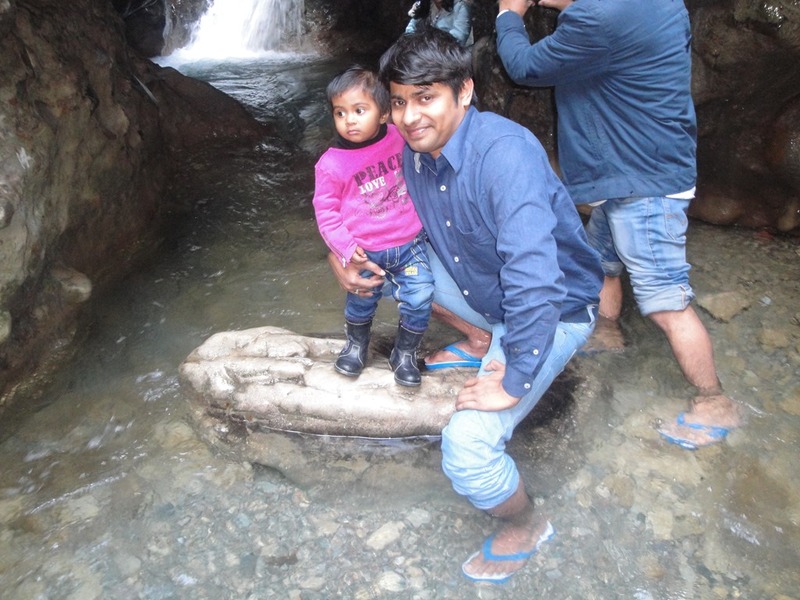 The target was Robber’s cave which people call Gupchup Pani as well and glad that I chose that as our target because the route to there was a kind of big lesson for the one who never drove on hills or extremely narrow slopes. The route to Robber’s cave is Kind Of Narrow Street. I stopped my vehicle outside and actually asked people if the road is drivable up to there. I was assured that vehicles go up to there but when I started driving down, then it was scary for sure. The road could have accommodated only one vehicle mostly and the slope was kind of steep. The car was going down and down and here I was thinking that how I would drive uphill again. We reached to the place by 1355 hrs around. What a place it was. Literally transparent water touching your feet with its coldness, the stones in middle and also the setting in which many shops were offering you Maggie, tea etc while sitting in the water literally. Trust me it was so much fun there and we were in no mood of leaving the place any early, if it wasn’t the unknown territory & scary road ahead for me. We stayed there till some 1530 hrs and then drove back. Contrary to my fears, it wasn’t a hard drive uphill and this actually became the first lesson for me which boosted my morale to drive on hills. The next short target was Shashtradhara though later on we realized that we would have better have spent some time at Robber’s cave instead. Not to say, Shahstradhara was some bad place. Ropeways, Sulphur lake, mystique stones.. it was all there which one can have endless fun with. Yet we were to be on schedule. 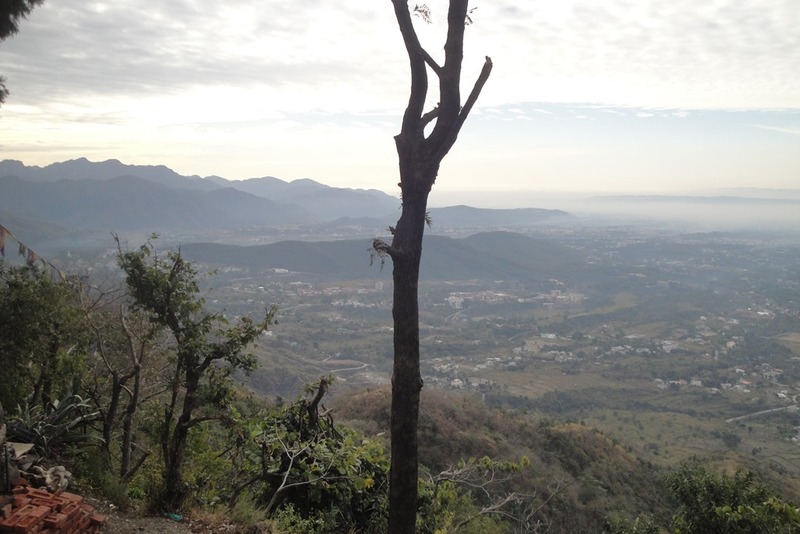 The experience of hilly ride was done and this was time to cut through narrow route traffic of city that was Dehradun. We managed to reach back Guest house by some 1900 hrs or so and then it was almost eventless. 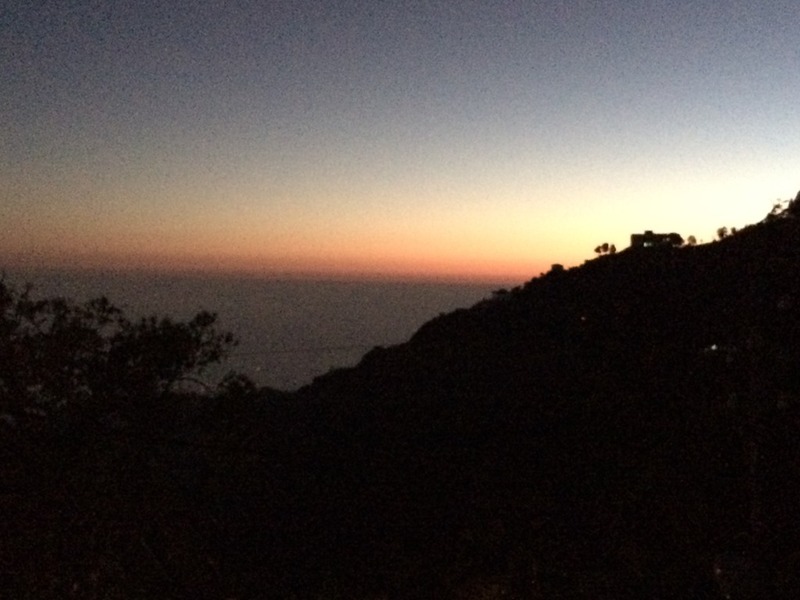 Dinner and sleep with keeping Mussorie in mind….. 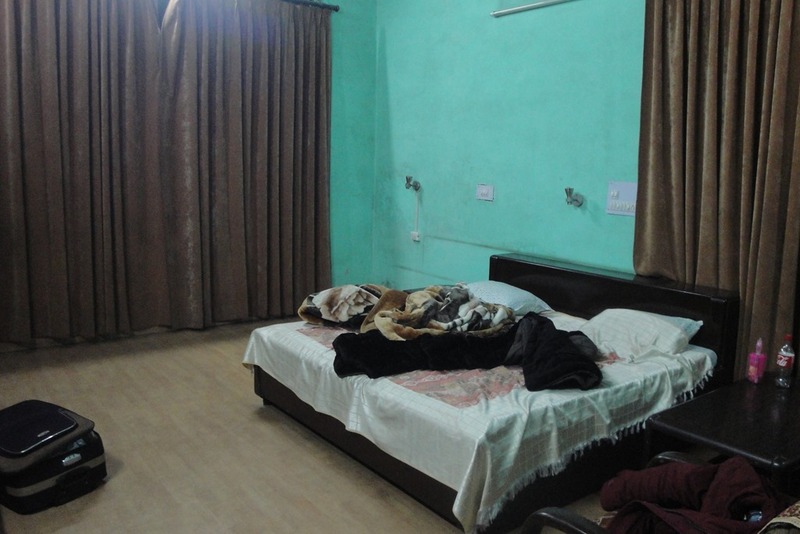 In morning, we were informed that we would require leaving Guest house as senior BSNL officers were coming for stay. I was planned for leaving to Mussorie but earlier plans were to leave luggage etc at Dehradun and to come back from Mussorie by evening. But now everything was different and there was no choice but to drove on hills to take on my fears. I called my office guy to confirm if Mussorie bookings which he was talking about still on or not. He gladly confirmed that that was still on and we were prepared for driving to Mussorie next morning. Drive to Mussorie started a little late and we were on roads by some 0800 hrs or so and at what people call Maggie point by some 0920 hrs. It was definitely a scenic view from there and till now, the fear about hills was gone from inside and I started enjoying the drive. We reached to NTPC Guest house by some 1000 hrs, which was exactly at the point where 6000 ft board was installed. The place was literally dream. I mean nothing about the facilities etc, but the location, scenery and space was kind of perfect for us. These Govt guys always get the best of locations. In the way, we had seen glimpses of snow scattered around the roads. Not that kind of white snow but the kind which get collected as garbage after clearing the roads. By the shops and Guest house keeper, we got to know that it was snowing here till January 24, 2014 and there was no power since last 4-5 days making it hard to manage water etc even. But all better now… Better for us? I was confused between missing snow and finding safer to drive roads with very little snow here and there. 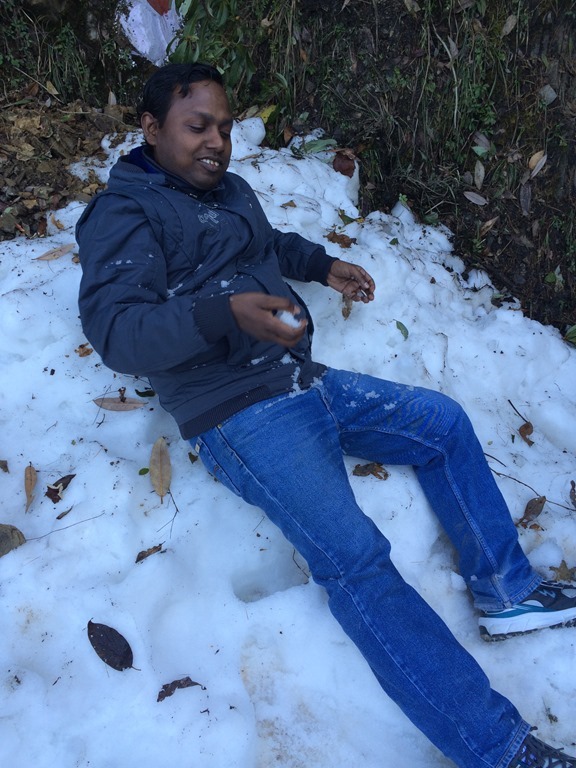 We had occasional fun with small snow around the roads as we still weren’t planning to drive up to Dhanaulti (which was still expected to have snow) due to safety concerns. After a sound lunch, the next target in mind was the Kempty Falls about which I heard a lot even since before. Even though I was confident about Hill drives now, the drive to Kempty fall was yet to open some of the strings of mine. Narrow route, occasional constructions, both way vehicles and some mad drives enroute, it was all part of lesson to me before making it to Kempty falls finally. Actually we drove a little 2kms ahead of the place to realize it later and then making a tough turn on those narrow roads. Till the moment, we remained at Kempty falls, we all were tempted to jump into the water. Such clean transparent water with clear white waterfalls and on top of that very safe arrangements that no one might get washed away in stream. Still due to crowd and cold of the water, we skipped the part of actually jumping into it. We took customary Maggie etc, bought a wall clock as souvenir and then it was time to drive back by 1420 hrs or so. 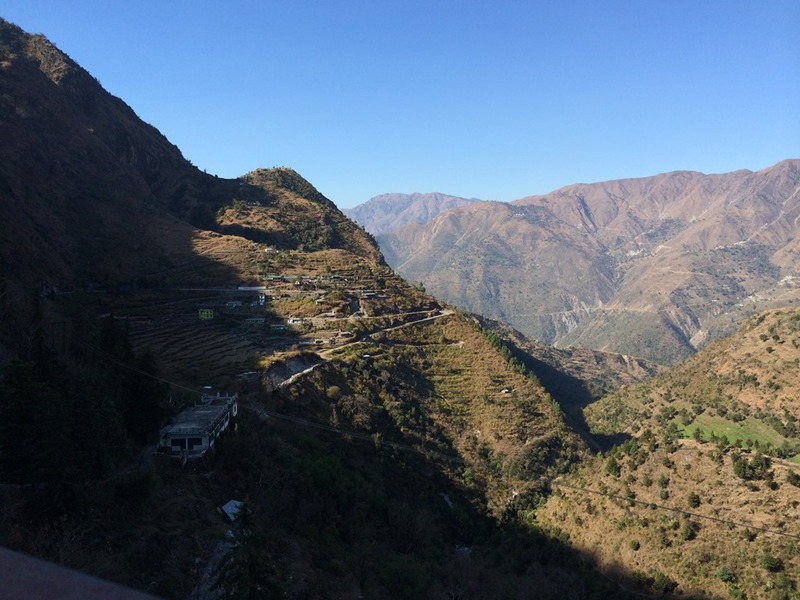 The drive back to Mussorie felt much more scenic than the drive to Kempty fall. One of the reason was, we had enough of time in our hands to enjoy the beauty on the roads and in hills. Structures suddenly going down and up as we drove up or down, the clear blue sky and hills behind them. It was all what one would have wanted to draw a painting sort of. We again met some snow around while returning back which was kind of surprise as it didn’t snow since last two days and yet some snow was remaining despite of the fact that temperature wasn’t much of lower side. We were back to base by some 1800 hrs anyway and then it was time to visit the mall road in the dark. Some random walking over the roads and then an early dinner to fill us up after a tiring day as we had to plan for the return on the next morning…. 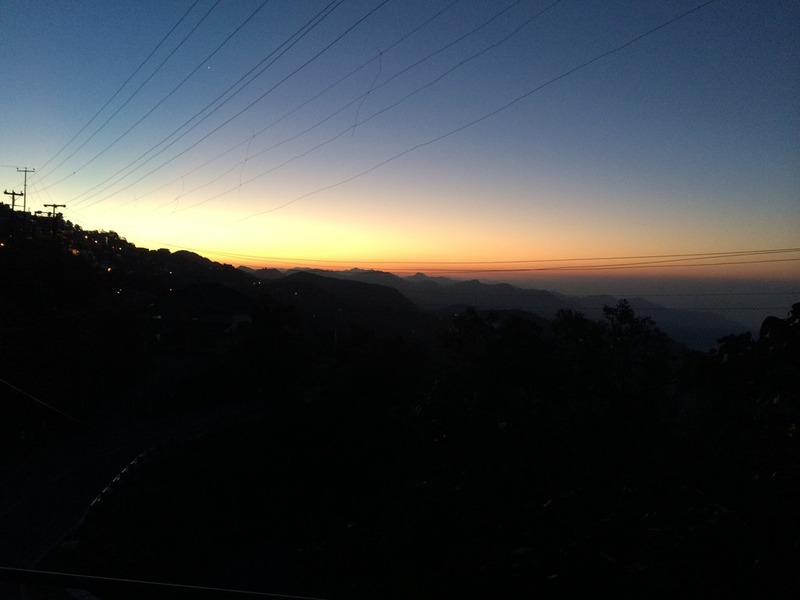 After a sound sleep, I woke up early in pleasant Mussorie weather and walked out to have a view of divine sunrise on hills. A must watch whenever you visit any hills. Sleeping till late is kind of crime over hills. We started driving down by some 0745 hrs or so and driving down was much easier than drive uphills for sure. 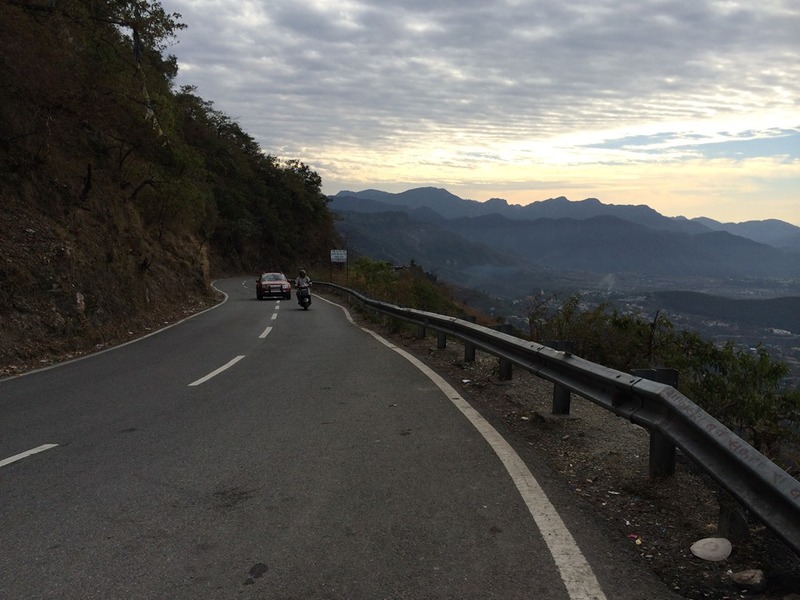 We must have driven at speed of 40-50 hrs even on those steep curves that we managed to reach Dehradun by 0845 hrs. While being in contact with Office guy continuously, we failed to meet the man behind all the arrangements, I thought to ping one more guy whom I knew from twitter and who was happened to travel between Delhi/ NCR to Dehradun (his own bungalow) quite frequent. Man! What house he had… One might only dream of such things. Kitchen garden, personal swimming pool and well decorated insides. We were served Pudina Paranthas made of own garden leaves. It was some grand first time welcome for the guys who met for the first time in real. It made us much away from the schedule but not that we mind it much. We left the place by some 1130 hrs or so and then it was a long journey ahead. 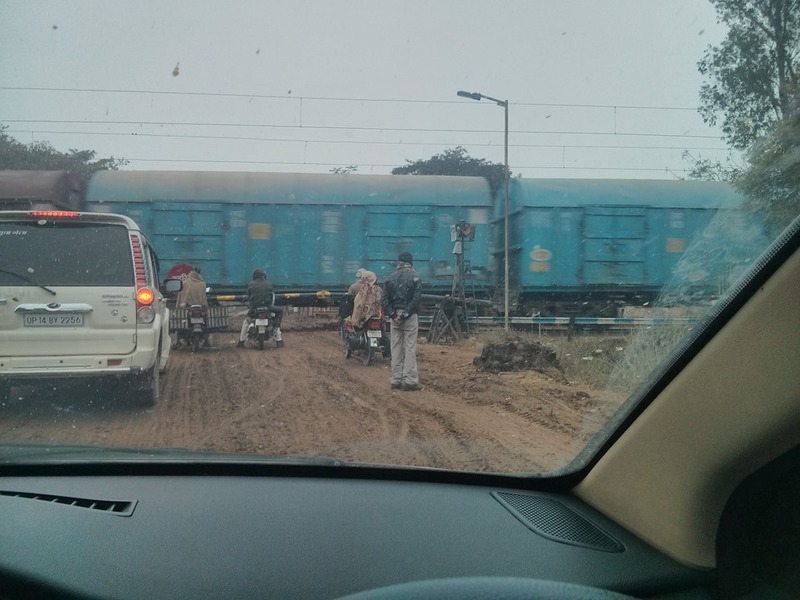 I was hell bent to avoid the Saharanpur patch at any cost even if that meant to drive 100 kms extra. I drove through Roorkee, drove from Ganga Kanal and whatever ways Google maps kept on telling me, no matter narrow or large, highways or not and thanks god, finally that patch was skipped. Not that the journey was over… We were still to face under construction Muzffarnagar and around National Highways, which were literally in tatters except last 150 kms or so. The speed never went above 60kmps before we come over toll roads and then evening traffic etc made us to reach Delhi by 1800 hrs or so. 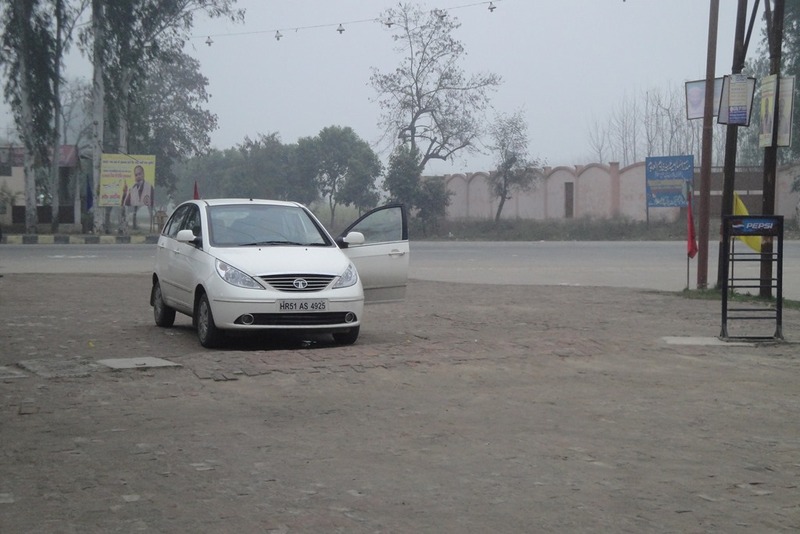 We dropped the two friends on the border and then drove to Faridabad. Man! It’s always depressing to reach Delhi and then cut through traffic for next one hour or more to reach Faridabad. Reaching Delhi makes you think that journey is almost over while next coming hours tells that much part yet to be travelled. Kind of last mile rush… but finally we reached back home by 1920 hrs and the smile on ours faces despite of being tired was signifying that we have finished our first hill ride successfully without any trouble and would be ready to take on bigger battles from here…. That was a good report. I recently got my 1st car Wagon R recently. And I am a first time driver as well. I was searching something that would give me confidence to drive on hills. I havent ventured outside Delhi NCR in car. Nice one by you. I think I can manage now. I would love to go there…..
Just want to say only one word after reading the blog. Awesome! with a big smile. I am about to reach delhi..my train got dlate so i missed my flight to dehradun..now m planning to book a zoom car and drive to mussoorie..i am a good driver but never drove on hills.. Should i drive myself to mussoorie or take a cab witha driver..
Hi nitish, does ntpc have a guest house at mussoorie and dehradun.? Your blog is so helpful. 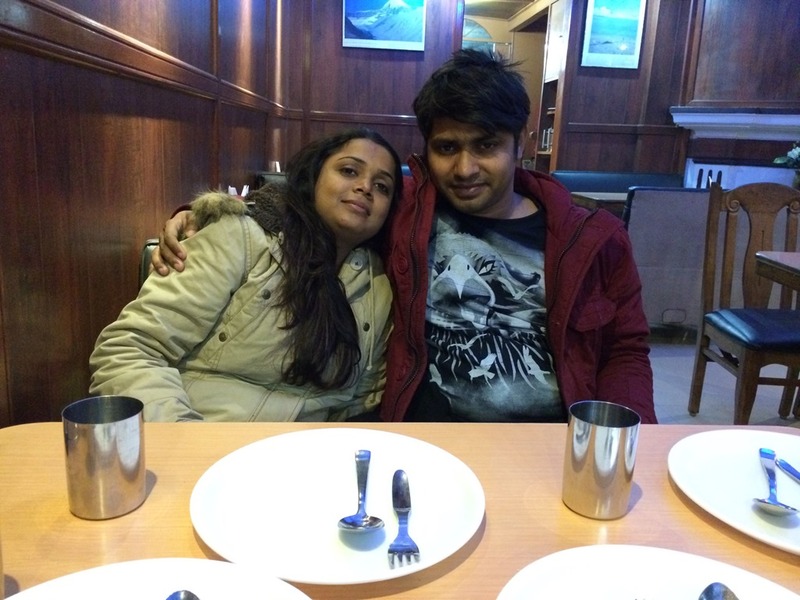 We have planned to Mussoorie by car tomorrow on 25th Mar. 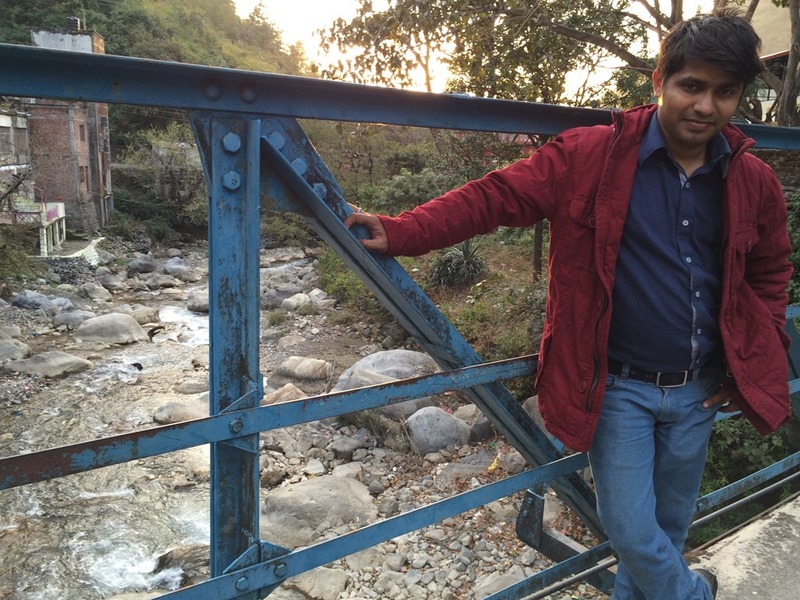 2016, and I was just wondering for Dehradun to Mussoorie road condition. And your blog gabe me fare idea and confident. Thanks for posting your experiences, a lot to learn from it. I am staying in Oman but my wife is from Delhi and this vacation in July we are planning to drive the hills..still not sure which one, but I am narrowing down the plan to drive Delhi > Dehradun > Mussorie > Nanital > Delhi.. Unfortunately no trip plans as of now and that largely depends over office schedules so unlikely a trip a before August. 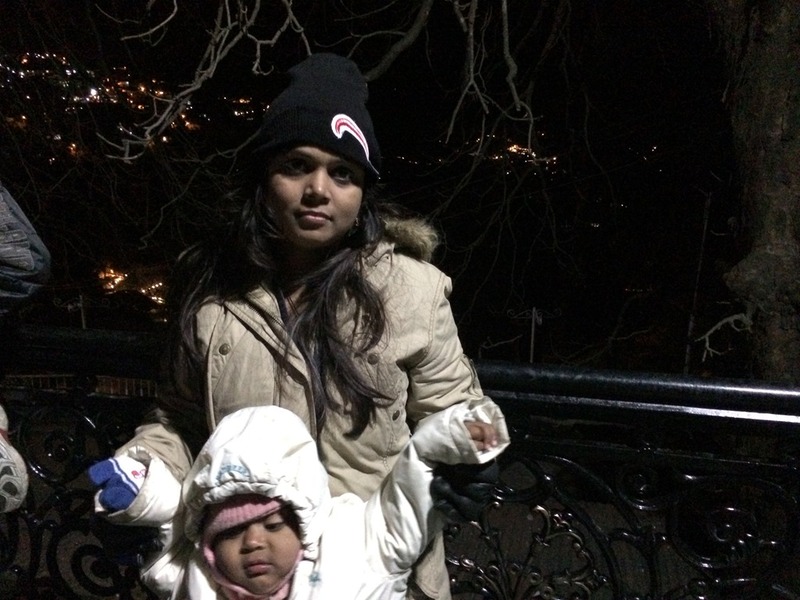 Been Nainital in last month only and Dharamshala in March. 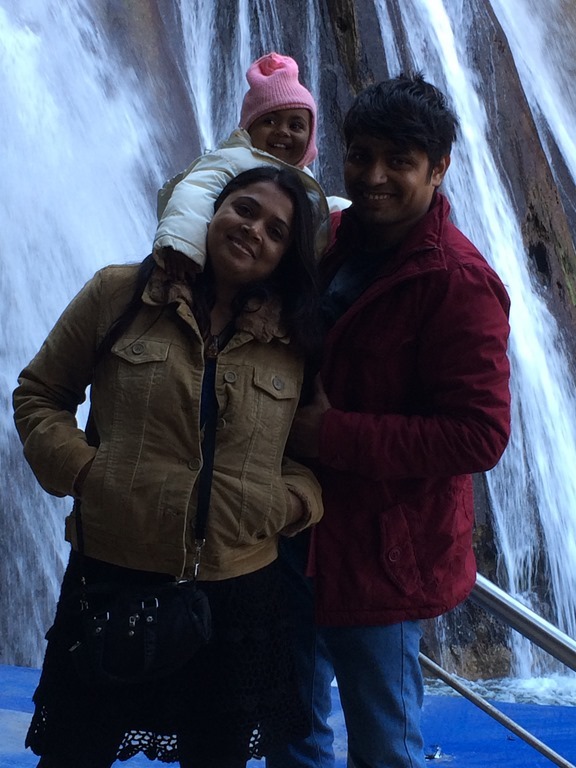 Hello Nitish..nice comprehensive information about ur trip…Hope u enjoyed well with ur family n frnds…I just need to know is there any hilly area or terrain through which we would have to drive or is it just a plain from delhi to dehradun? Kindly reply…thank u in advance..
From Delhi to Dehradun it’s just plains and even Dehradun to Mussoorie it’s enough wide and proper road of less than 40kms. Really yaar your blog so encourage me lot about the family trip as I am planing to go Dehradun and Massoorie by end of this month 30/09/2017 with my family (wife, me and my 8 daughter and a 5 year son) my car WagonR from Noida 62. Since I am not a frequent driver, But I driven lot till lucknow, basti, faizabad, Haridwar, ludhiana & Bareilly etc. but dear I have a little hesitation while planing to go hill. But thanks for sharing your experience that’s make me so crazy and. Basis current scenario, would advise to plan the trip in a way that you cross Dehradun part earlier in morning than evening as that goes traffic crazy at times since the new flyover brought up. Please advise I could go ahead with hill driving or not because I took advice few of my friends and the conclusion is 50-50. that’s y m little worried. I already booked my hotel at The Mall Road ‘Silver Store’. Go for sure. No worries about the route. Thanks for encouraging me to drive in the hills really; I really honor your all instruction while going up to musoorie. we come back on 02.10.2017. The tour was really very good but due to weekend there was heavy jam and crowd in Dehradoon & Mussoorie. I really got tired of driving. 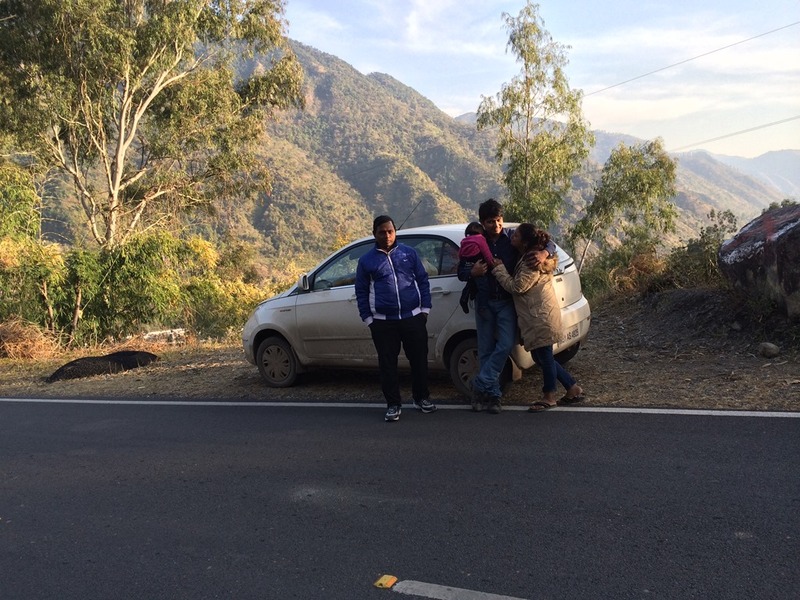 We started 5 am in the morning and reached mussoorie at 2 pm, got 2 hours stuck at dehradoon due to heavy traffic, reached in 2 hours from noida to khatauli (Cheetal Grand). But while coming from mussoorie ‘MY GOD’ what a traffic and jam 3 hours jam in dehradoon and took 5 hours to reach from Meerut to Noida. We missed dhanaulti due to heavy crowed. I still feeling tired because of alone driver. But kids enjoyed lot on this tripe they still remember the hotel name, room number and room intercom number. 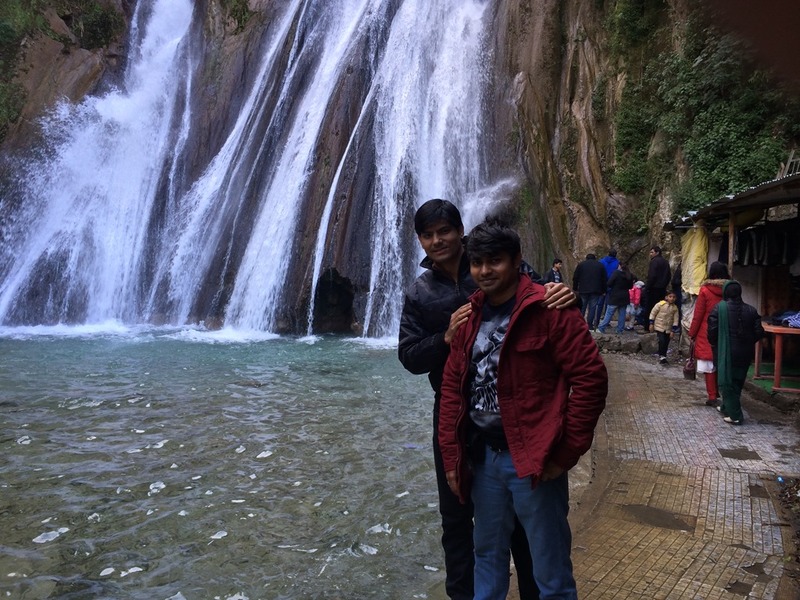 Specially kampty fall & Mussoorie Lake. I really thank to you first to make my hill tripe success. Always great to hear about a successful trip. That’s a news to me that Dhanaulti side may get jams. Evenings at Dehradun is bound to get jams since the new flyover has came up and don’t know what kind traffic shaping they been doing. Hi Nitish, it was beautifully describes. Please tell me is it safer to drive from Delhi to mussorrie by Honda city petrol (2013) by road and which route should I take. I am planning to leave on 29 Dec 2016 and returning on 1st Jan 2017. Definitely safer and as far as route is concerned, chose that via Roorkee side as I am not sure if Saharanpur side is built well by now or not. nice trip account. I and few of my friends are looking for hilly destinations for a trip in June end or July this year. We are thinking about Mussourie and Dehradun. Any idea about the weather conditions there at June end or first week of July? Help will be appriciated. We himvalley read your blog..I love the way you post this article. 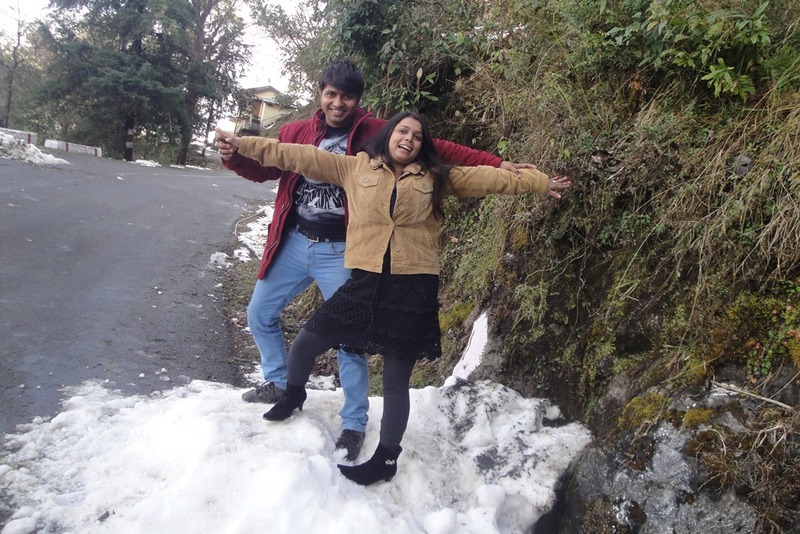 Excellent information given here, this will help to all tourist who are planning to visit above Hill Station in India. And infact even i dont have any hill driving experience till now but have done longer routes on plain terrain so this time was planning for mussoorie, may be next week. I was keen to know if my etios liva diesel could do that without any trouble. And must visit places too. Not sure if it’s a great destination during summers but the main route via Roorkee, Dehradun ok. 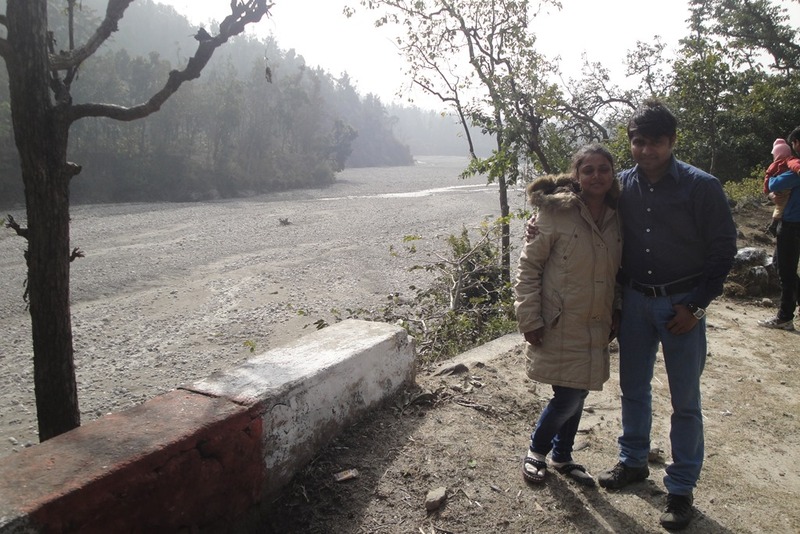 Places to roam would be Kempty falls (comparatively ok route than great Dehradun to Mussoorie), Dhanaulti (there is eco park and a temple along with views), company garden, Robbers cave in Dehradun, Shahstradhara in Dehradun. I am also planning to drive through Delhi to Mussoorie on 3rd June .This would be my first experience to drive through Hills . Though your blog has given me the confidence to drive , but still I wish to know if road from Dehradun to Mussoorie is enough wide to pass through the vehicles, ot is there any challenge over there . No challenges at all though recently after Dehradun flyover creation and some overly educated traffic cops planning traffic, evening might get jammed. Prefer early mornings or brace of evening jams in return. Thanks for sharing your travelling experience, very well described. 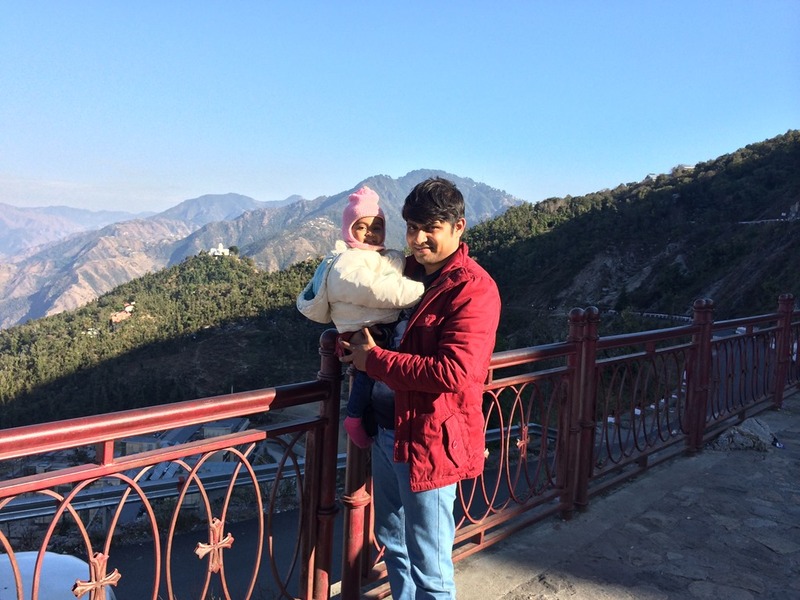 It was very helpful, had alot of doubts before reading ur blog, hope it’ll prove helpful as i am planning a trip to Dehradun-Mussoorie-Dhanaulti with family in last week of June. M a little concerned as It’s the first time m going to drive in hills. Well context of writing “unsafe” was as per my mindset then when I was first time driver for the hills or even any long drivers for that matter. Been that side multiple times since. Roads are a little narrower side when you compare with kind of wide roads you get between Dehradun and Mussoorie. Still its nothing which can’t be managed very easily. Specially during June, no issues as no rains nor snow etc. Prefer early morning. This was a very good blog. 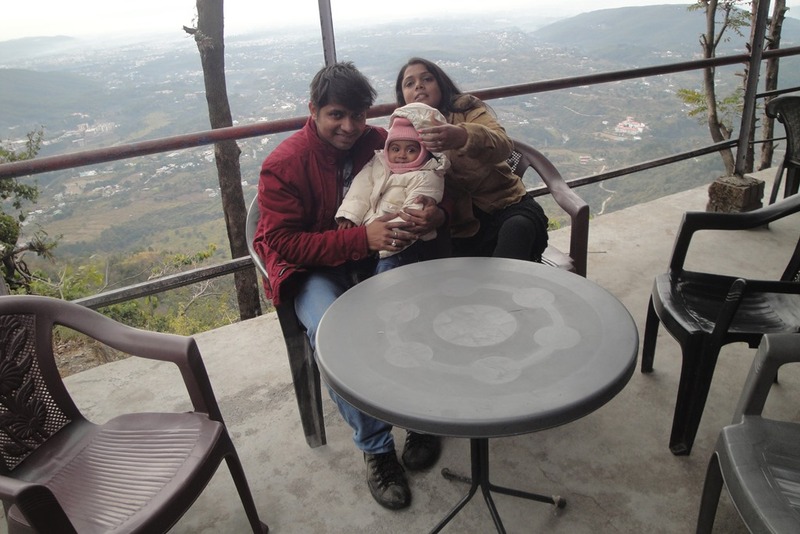 I had read your blog before I had planned my trip to Mussoorie. I really liked the way you had mentioned your trip. I felt that I was with you in a trip. Thanks to your blog, I had planned my trip to Mussoorie/Haridwar/Rishikesh/Delhi from Ahmedabad. 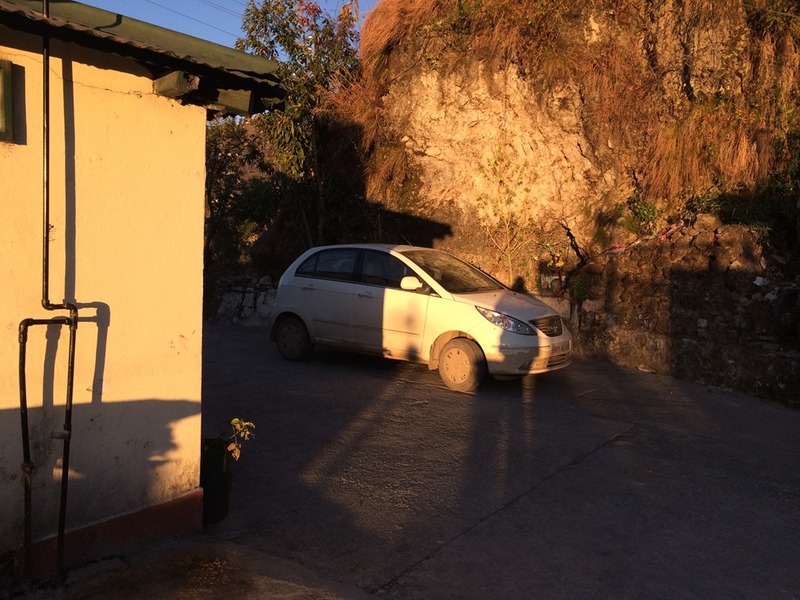 Even though my father had got chance to cover road between Dehradun to Massoorie which I want to share with other users who are planning to visit Mussoorie first time in their car. Thanks for your blog. 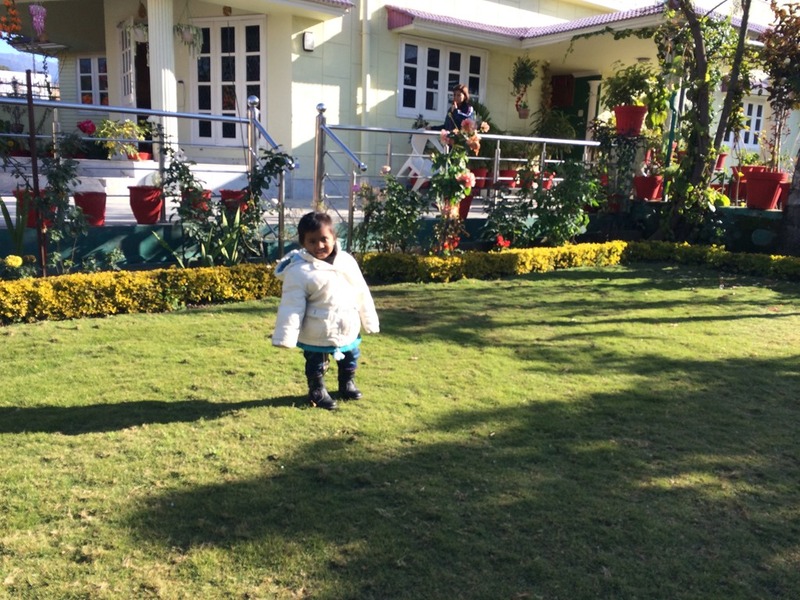 Your other blog has made me to go for Manali also. I will go there and share my experience here as well. Thanks bro. 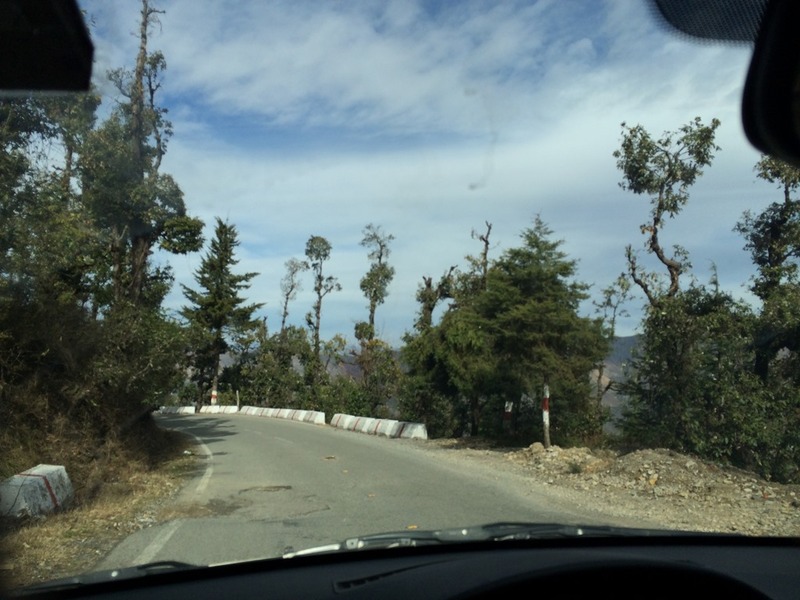 Thanks for your writeup and it gave me confidence to drive on hilly area. I am planning to go to Dehradun and Mussoorie with my family at the end of May 2018 month. I would like t know whether we should go directly to Mussoorie and come back via Dehradun or first go to Dehradun and then go to Mussoorie? 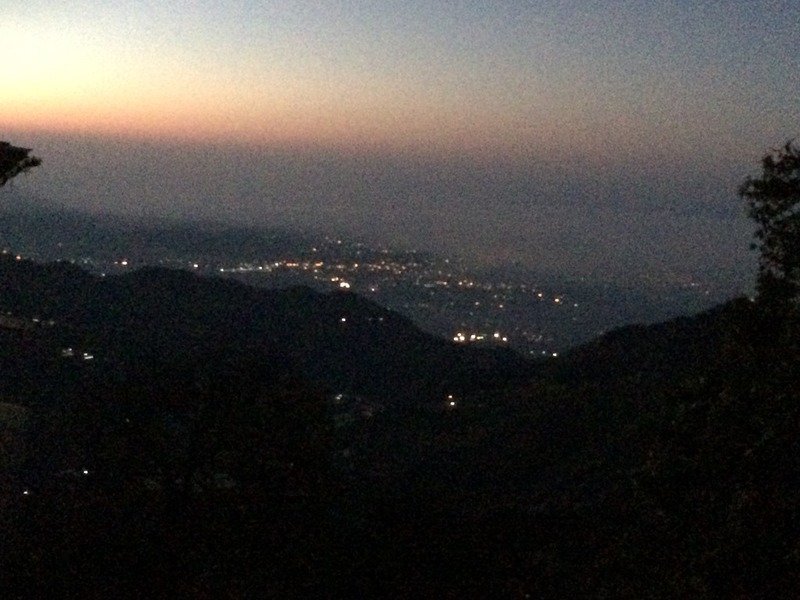 You can go to Mussoorie directly. Roads are totally perfect. Things have changed a lot since that trip. In Dehradun, they have made a flyover to cut traffic which rather causing even more trouble than earlier due to their routing ways. Thanks Nitesh for prompt response. Let’s see how my this first hilly trip by own driven car goes. Will update here after coming back. It was Great to read this article. I don’t have any experience of driving on hills, but wanted to go on a trip with self drive. Your article give me courage to plan one. Previous Previous post: Gionee Elife S5.5-The Final part of review-Is the software part same impressive?